Select Size 16 1/2" 17" 17 1/2" 18" 18 1/2" Long Flap 16 1/2" Long Flap 17" Long Flap 17 1/2" Long Flap 18" Long Flap 18 1/2"
The M Toulouse Denisse Close Contact Saddle is a beautifully crafted close contact saddle that offers the ultimate in comfort. Recommended for Hunter/Jumper Riders, the medium/deep seat, narrow twist and double leather flaps and knee rolls offer a secure feel, with plenty of grip to keep you secure in the saddle. Complete with Comfort Fit panels and your choice of a hand laminated beechwood and steel reinforced tree, or the Genesis™ Adjustable Tree System, both with a 5 year limited warranty against manufacturers defects. 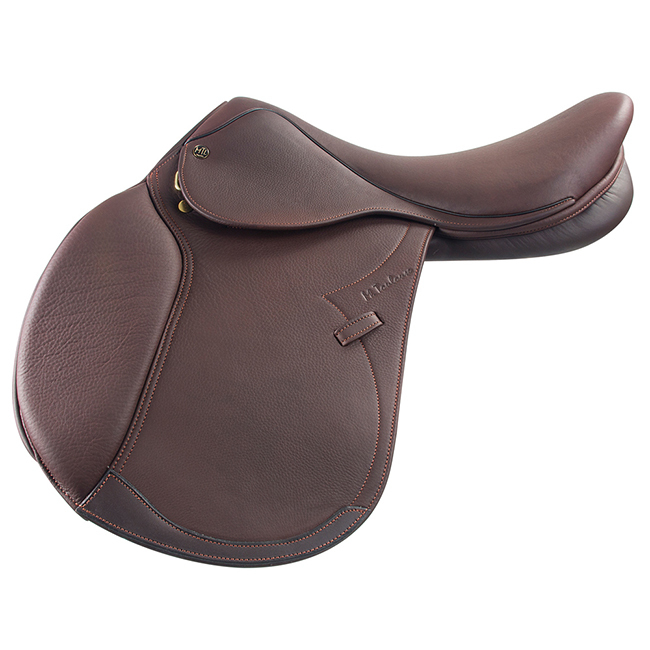 The Denisse close contact saddle was inspired by the Devoucoux. Chocolate and Tobacco. Chocolate Sizes 16 1/2” - 18 1/2” Genesis Adjustable Tree and Sizes 16 1/2” -18” Medium and Wide Fixed tree’s with regular and long flaps. No long flap in Wide tree sizes. We recommend SUPPLE Leather Cleaner and Conditioner for all of our MTL Products. There is no right or wrong product, but we recommend that you keep conditioners away from the seats of the saddles as much as possible, as using some conditioners more often than a couple of times a month can lead to over-softening of the already soft seat-leather, creating wrinkles. Wiping down with a soft cloth or damp sponge is usually enough for day to day care, SUPPLE Leather Cleaner and Conditioner (Available at www.suppleleathercleaner.com) when the leather needs a bit more, and condition if the saddle is used during inclement weather (immediately after the ride) and allow it to dry thoroughly before riding again. Local professionals can guide you through the many products available for cleaning and conditioning, but it’s not necessary to over-do the products on a daily basis. MTL Saddles are soft and comfortable from the beginning, and as long as you keep the leather clean and supple, your saddle should last a long time.